Snapchat and Instagram may well be social media platforms that are hugely popular with millennials, however that does not mean sites like Twitter are on the decline. With Twitter daily usage figures up year on year and revenue generated also on the increase, there is no doubt that a strong Twitter presence is an essential strength for any brand. 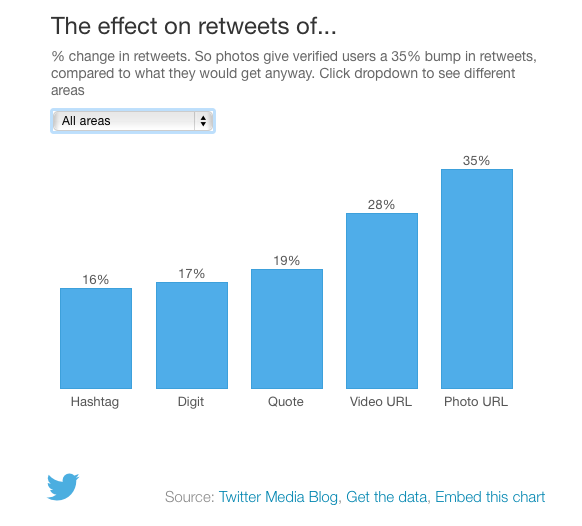 How to you increase your engagement rate on Twitter? There are a few ways maximise the impact of your tweets and increase your engagement rate on Twitter. Here’s how to stand out amongst millions of tweets posted daily and boost engagement. Hack #1- Have a noticeable handle – It is advantageous to include potential search keywords in your username e.g. @AssertiveDigitalMarketing. Without an iconic name, it is easy to be anonymous and overlooked on Twitter. Hack #2- Take your profile to the limit – Make use of every opportunity to mention what you do. Fill your profile with as many facts about you (as space allows), including a link to your website. Again, your services’ key phrases should crop up in searches. Be sure to include an up to date link to your website and case studies. Hack #3- Drop the egg – use a personal photograph or artwork related to your brand rather than the automated egg used by many spam accounts. It sounds basic but if your brand, service or product has a logo, use that too for a consistent visual presence. Hack #4- Utilize lists – The “utilize lists” option is an under-used Twitter tool made to group your potential customers, competitors or industry influencers into one neat list. This can be done publicly, or privately. Keeping a quiet eye on those you’d like to emulate or saying a big ‘Hi’ to those whose attention you crave. Find lists you’d like to feature on by searching and then simply subscribing. Hack #5- Don’t be late (or, for that matter, early) – time your tweets to hit the peak times of your target audience. Thousands of tweets are created every second, research the times of day when competitors’ tweets are being engaged with and target those times. According to Wiselytics, a tweet’s visibility is a mere 24 minutes and it only has 3 hours to engage its audience. Missing the peak time to tweet by just one hour could mean losing valuable engagement. Hack #6- Schedule Tweets – using one of the many social media management applications available (such as Buffer, Tweetdeck or Hootsuite), tweets can be time specific. A social media campaign will benefit from pre-written, well-composed content being automatically posted at the times when your target audience are most likely to engage. Hack #7 – Picture this – According to the Twitter media blog, including photographs in your tweets dramatically increases engagement with your content, as does video. Even using a GIF from the readily available selection will liven up your post. Photographs, videos and GIFs will all attract attention as a feed as scrolled. Hack #8- Exclude links from searches – by adding -HTTP to a search (that’s a minus sign ‘-’) all results which are simply chasing clicks will be omitted. If you are looking to enter into a real conversation about your chosen topic, this is a clever little trick. Hack #9- Don’t simply tweet your links – relentless self publicity is a turn off. More interesting to other users will be your engagement with conversations. Choosing the right conversations to join in with and then having your content drive engagement through your profile is a far more beneficial skill. Hack #10- Link your content to Twitter Moments – The Twitter’s Moments feature pushes the latest news and events and tweets relating to that topic underneath the headline stories. Tweeting into these conversations is a fast route to your tweets being consumed by users who don’t currently follow you. Become involved to gain actual engagement rather than bombard list members with self publicity. Hack #11- Follow hashtag dates – find out what important dates are approaching, famous figures birthdays, memorial days, public holidays and join in conversations built on those hashtags. Finding a way to link your message to key dates can be another efficient way to engage users who aren’t currently your followers. Hack #12- Use advanced searches – another alternative to sharing your links is to use the detailed search facility on Twitter. Use the keywords to target job roles, locations even the types of hashtags followed. A great way to find focussed conversations to join in with. Hack #13- Add polls to tweets – by simply clicking the ‘add poll’ when creating a tweet, an invite to engage has been created. Make the poll relevant, current and not just for fun. Very real data can be gathered by asking questions about your target market audience. Hack #14- Pin a tweet – Twitter offers the opportunity to keep a particular tweet live. By using the ‘pinned tweet’ option, this post will always appear at the top of your tweets when other users view your profile. If a tweet performs particularly well or contains a key message, this is an effective way to capture and audience without repeatedly posting the same tweet. It can be beneficial for this tweet to contain a link to your website or even a call-to-action. Hack #15- Use pictures for words – if you have a tweet which would break the 280 character limit, but would rather not split it into several posts, then a screenshot of typed text could be posted as a photograph, thus getting the whole message onto one tweet. Hack #16-Analyse your performance – Use your account’s Twitter analytics. Data related to your activity, impressions and engagements are all easy to view and trends easy to spot. This is free information and can provide prompts for any changes to future posts and campaigns. Aside from all of these tips for becoming more efficient with Twitter usage, the platform’s paid promotions could also be considered. There are various tools and styles of advertising through Twitter. Whether you simply want to push a particular tweet to a specific market, run an advertising campaign for your account or promote your website there will be a package to suit. The options available will help you to narrow your campaign to a niche audience and careful analysis of results should reveal how accurately you’ve chosen pitched to that niche. Whatever hacks or promotions you decide to run with, Twitter is most certainly a key component of any social media campaign. If you would like any help managing your twitter profile and getting the most from it, then please don’t hesitate to contact our social media experts at Assertive.